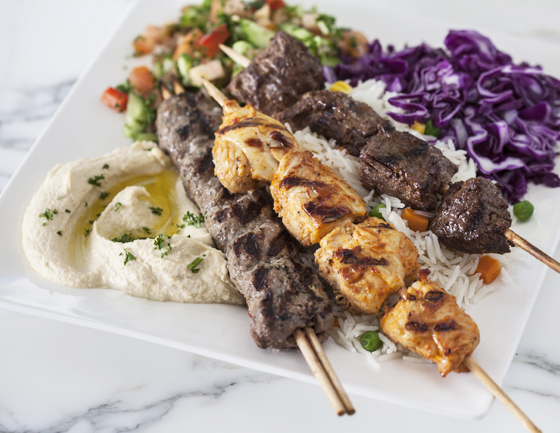 Oasis Grill was started by the husband and wife team of Mohammad Zughaiyir and Muna Azzghayer who also own a deli on Drumm Street. 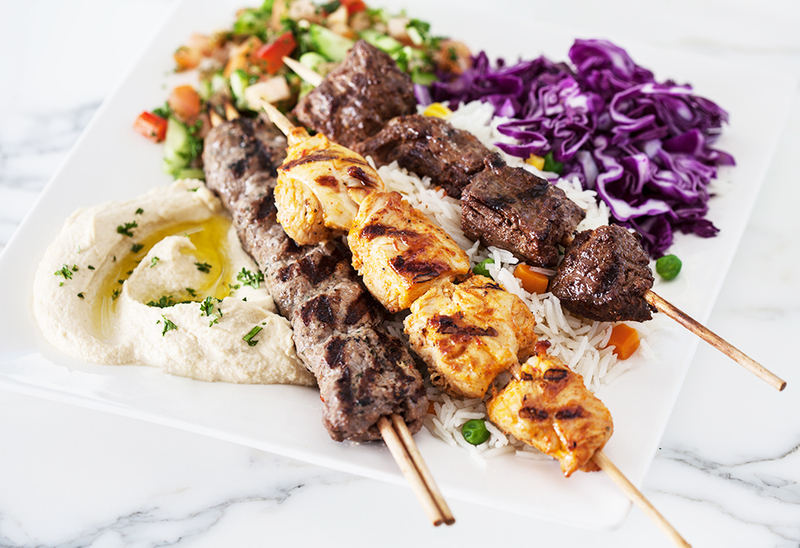 Mohammad, who grew up in Jerusalem working in his father’s produce market, and Muna, who was born in raised in San Francisco, started experimenting with their cultural Eastern Mediterranean food and introduced the Mediterranean plate. Here at Oasis Grill we believe that fresh is best! We pride ourselves on our quality locally sourced produce. Halal, hormone-free chicken and all natural grass and vegetarian fed beef. freshness is always guaranteed!. Catering is available 7 days a week. Save time and pick up your order in just 20 min at any Oasis Grill store. Here at Oasis Grill we believe that fresh is best! We pride ourselves on our quality locally sourced produce. Halal, hormone-free chicken and all natural grass and vegetarian fed beef. freshness is always guaranteed! 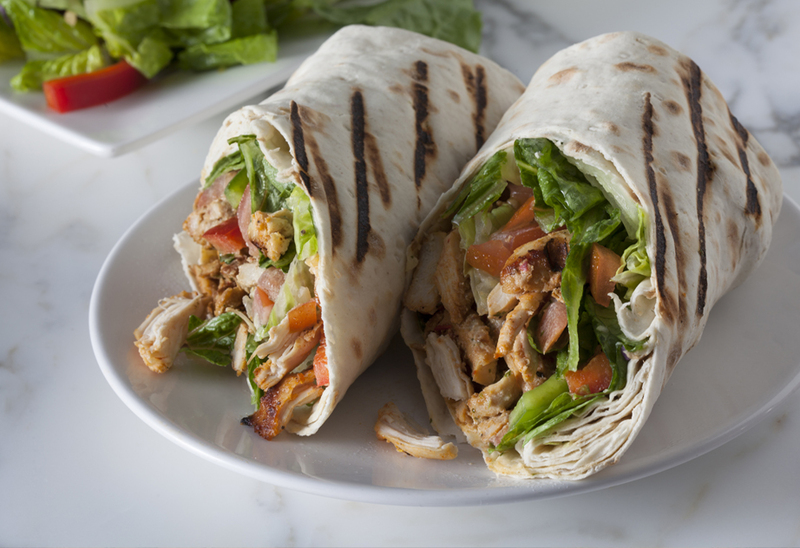 Not to brag or anything, but there’s a reason why our shawarma wraps and daily fresh cut salads taste so good! It’s because we understand how important fresh food and flavors are, which is why we do not hide any of our ingredients, no additives are used. Many nutrition consultants and dietitians recommend a Mediterranean diet, and you will reap those lovely health benefits from eating at Oasis. Our cucumber and yogurt salad is made with kefir yogurt. Kefir is a culture starter made from beneficial yeast and bacteria that give you essential probiotics to help aid your digestive system. Our tabouli salad, made with extra virgin olive oil, bulgur wheat and fresh parsley, is perfect for a crisp salad to detoxify your system and can provide you with healthy grains to marry well with any meal.